UC Center for Community Health Program Manager Karemi Alvarez was honored by KPBS as a Hispanic Heritage 2015 Hero in September. The award was presented to Karemi for her successful efforts on community-health projects throughout San Diego County. 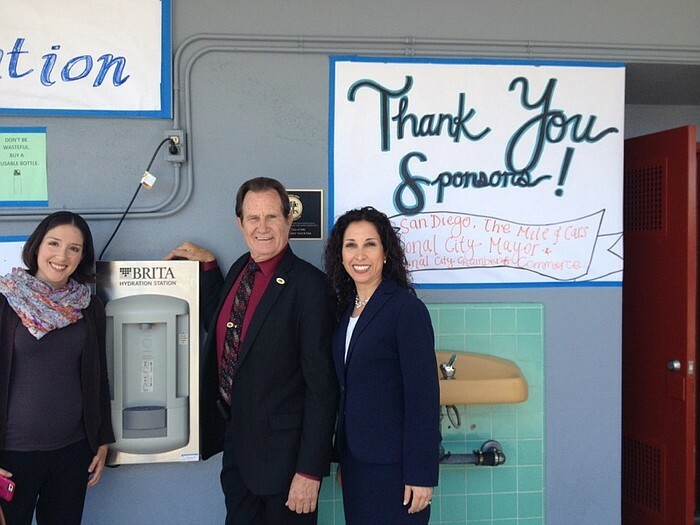 Recently, Karemi helped students at Sweetwater High School in National City in their efforts to install a new water station on the campus. The idea behind the hydration station is to get students to drink more water and fewer sugary beverages. The effort was part of the ongoing work Karemi has done in the South Bay area. Karemi has also worked with faith-based institutions in the region on improving their health policies, including fewer unhealthy foods at church events, walking clubs, and the planting of community gardens. A Tijuana native, Karemi moved to the U.S. with her family in 1993. She has experienced the challenges that families from Mexico frequently encounter and knows that maintaining good health is important. Karemi has committed her education and career to helping improve community health in San Diego County, frequently working in low-income neighborhoods and creating wellness champions among the people in those communities.